Whether you are remodeling your home and want to add a striking patio or porch entrance or whether you are replacing worn features in an older home, sliding doors are a great way to add style and ease to your home. The right company can make Portland door installation a breeze. Today sliding doors have lots of features and benefits for homeowners. 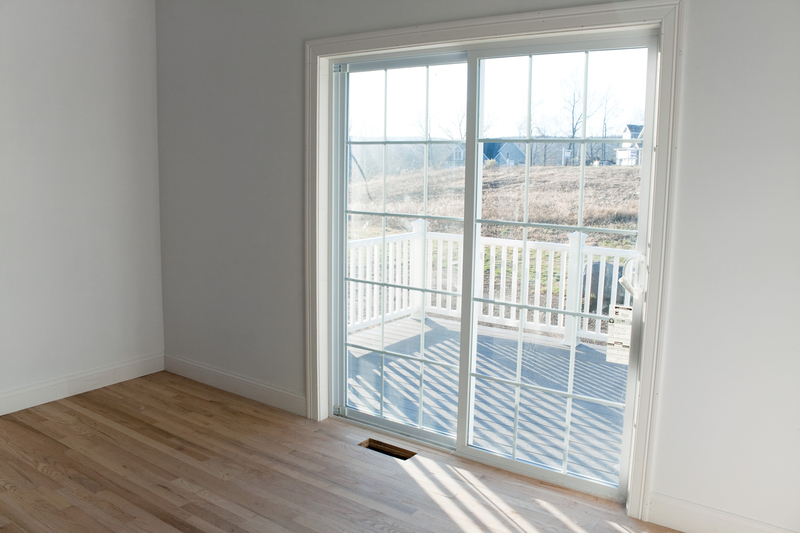 There are three main reasons why a sliding door in Portland, OR, would be a terrific addition to your home. Even when you come inside, sliding glass doors give you a large, unbroken view of the outside world. They let in natural light and make your interior living space seem larger. Whether you have a screen porch or a patio or a large, unbroken expanse of lawn, sliding doors let you stay close to the natural world. You can go inside and still enjoy the deep beauty of nature right on the other side of the glass. Quality sliding doors today can be efficient insulators, effectively keeping your home warm in winter and cooler in the hotter months. These doors can give you high thermal insulation with quality Portland door installation. In fact, the right sliding door in Portland, OR, can shield you from both weather and sound, and it can keep dusts, drafts and rain out of your home. Sliding doors have no hinges, as they glide along tracks rather than swinging open. Therefore, you do not have to worry about rearranging your furniture in order to enjoy the benefits of sliding doors. This feature also means that even small residences can have a sliding door in Portland, OR, to enjoy the beautiful scenery year-round. The right company will deliver quality Portland door installation in any size home. Sliding doors give homeowners great options for adding real value and loveliness to their houses. They bring the beauty of nature inside, they provide good energy efficiency, and they are beautiful space savers. When installed by a caring, reputable company, sliding doors can be a striking feature for years to come.